Some frost is on the way too. THERE HAS BEEN rain in many parts of the country in recent days and that looks set to continue today. 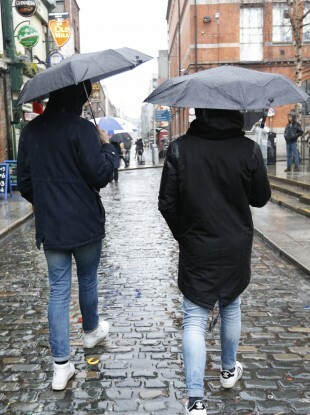 Met Éireann has said today will be showery with some sunny spells. The showers will be heaviest and most frequent in western and northern counties. There will also be gusty southwest to westerly winds and top temperatures will reach 12 to 15 degrees Celsius. Early tonight there will be further heavy showers and these will merge into longer spells of rain, especially over the northern half of the country before moving eastwards later tonight. Temperatures will dip to four to seven degrees, with some frost. Showers will become isolated tomorrow morning and it will be a mostly dry day with some sunny spells. However, showers will continue to affect the north and northeast until tomorrow evening. It will be cool and breezy with west to northwest winds which will ease somewhat towards evening. Top temperatures will reach 11 to 13 degrees. Tomorrow night will be mostly dry but it will turn colder, with lowest temperatures falling to around three to six degrees, leading to frost. Email “Have outdoor plans today? Bring an umbrella ”. Feedback on “Have outdoor plans today? Bring an umbrella ”.